The Blossom Kocchar Aroma Magic Aloe Vera shampoo is the first ever cream based shampoo that I am trying out.Though the shampoo is for rough, chemically treated or colored hair as per the claims, I have not done any chemical treatments to my hair and I still wanted to try it out for the sake of my naturally dry hair. 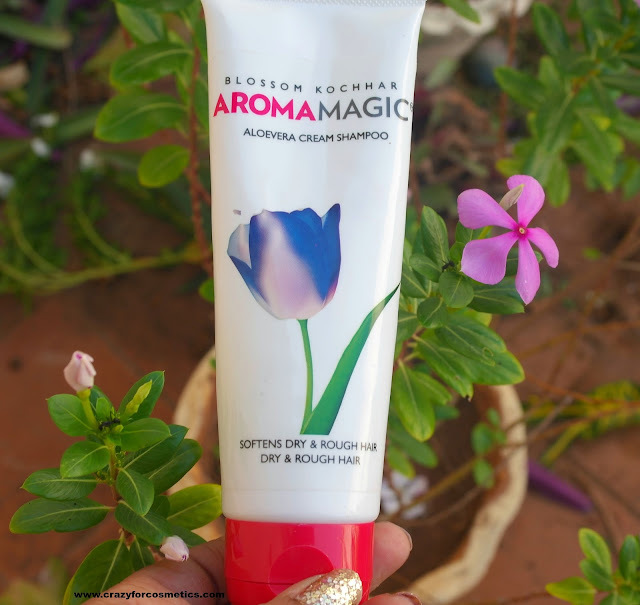 I have tried other Aroma Magic products and my expectations were set quite high for this shampoo. 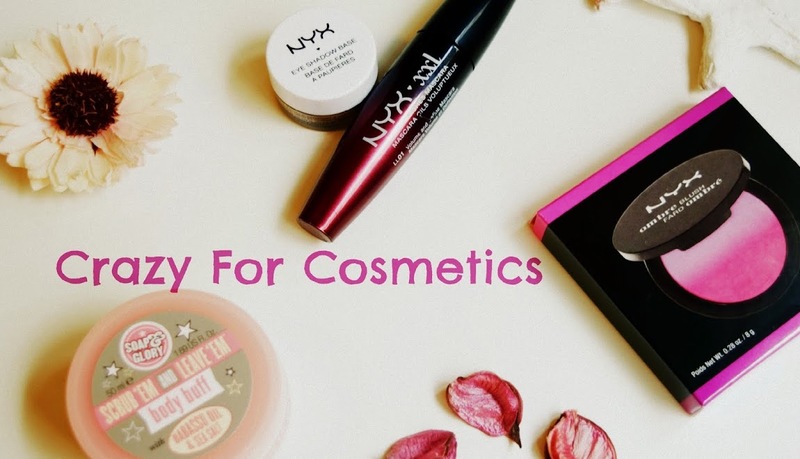 The packaging is not the usual bottle packaging but a tube packaging , since the product is cream based and not liquid based. 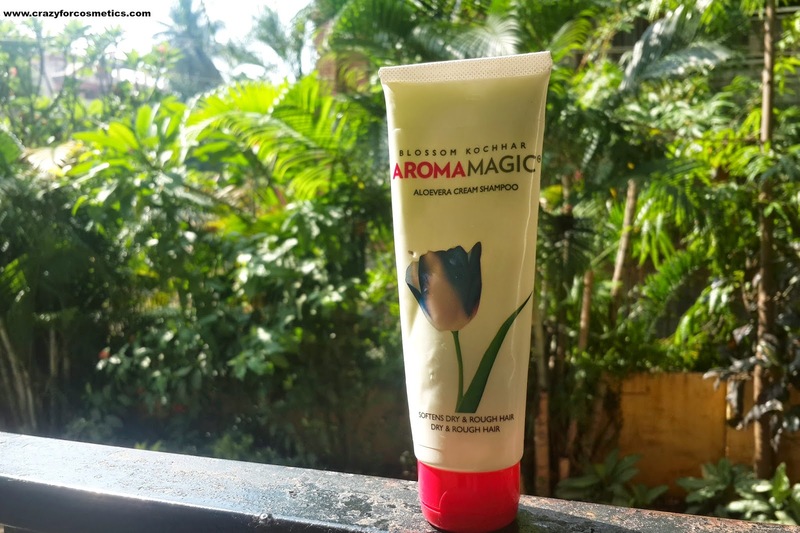 It looks quite colorful like any other Aroma Magic products with a white tube and a red cap - Signature Aroma Magic packaging.Aroma Magic Aloe Vera shampoo is 100 % natural and has no SLS or any other harsh chemicals. The shampoo smells strongly of green apple and I love the smell absolutely to the core. 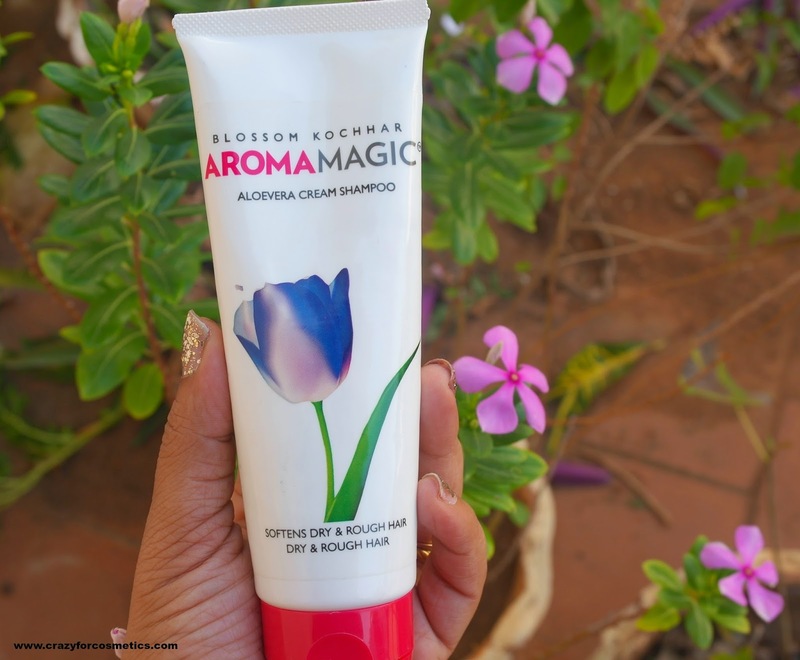 The shampoo is thick and creamy in texture and one needs to apply quite a lot of force to take out a desired amount of product. The shampoo is chemicals free and it does not affect our hair in any way and 100 % safe. It controlled my hair fall and kept my hair soft with a refreshing smell. The shampoo does not lather much at all and I am a person who cannot have hair washed without applying oil prior to shampooing. The shampoo does not remove the oil from the hair, even if I use shampoo for 3 rinses, and it gives a very sticky feeling. 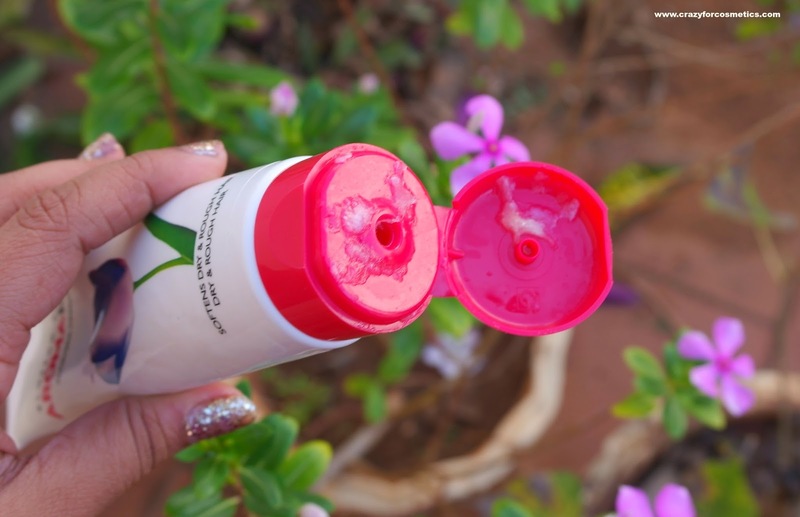 2 : Makes your hair soft and manageable. 3 : Reduces hair fall. 5 : Does not lather well. 6 : Does not remove the oil from the scalp even after 3 rinses. For dry hair beauties who wash your hair without applying oil prior to shampooing, you can definitely try this shampoo for the natural content in it. 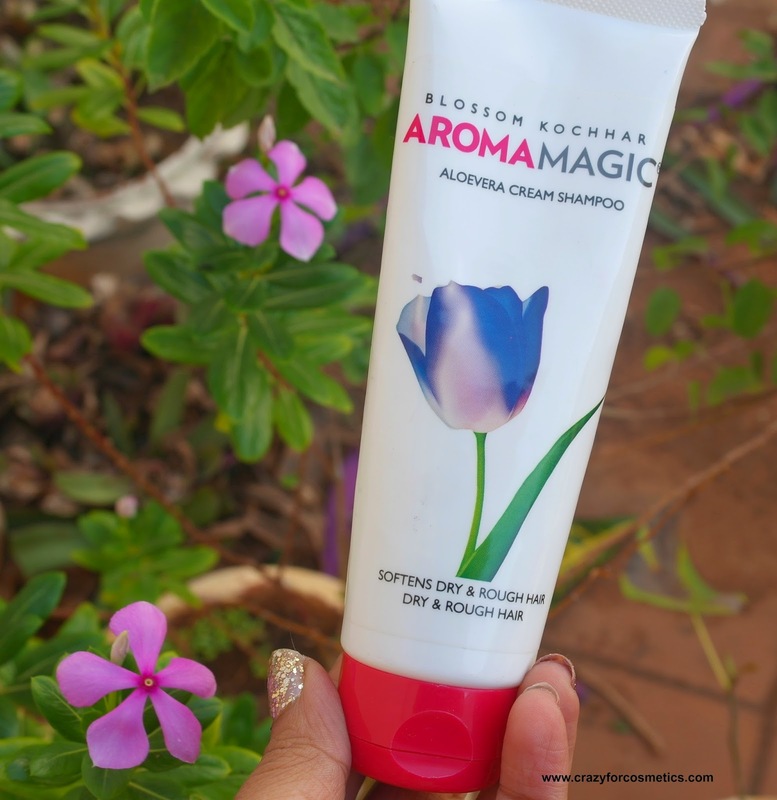 It will keep the frizz under control and give your hair a lovely scent. 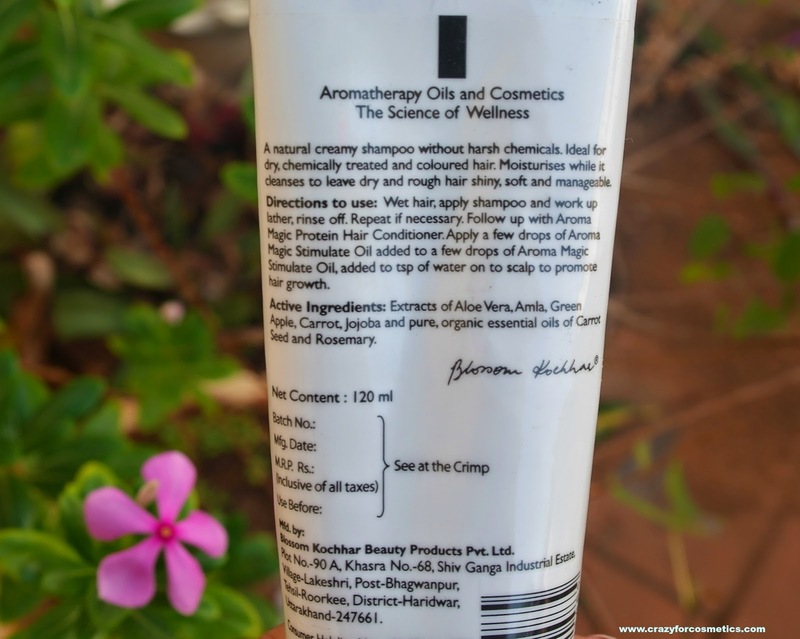 For those who cannot skip the oil before a hair wash, please skip this shampoo.